Google Calendar is a phenomenal productivity tool, whether you use it for yourself or to collaborate with a larger group How to Make Google Calendar Collaboration Even Smarter How to Make Google Calendar Collaboration Even Smarter There are many ways to make Google Calendar smarter. Here are eight tools to make your schedule work better for you with minimal effort on your part. Read More . You might think that a calendar app is best for simply giving you reminders of what you’re supposed to be doing, but Google’s mega-useful app can do so much more than that! This is especially true when you use a shared calendar to give others access to the same list of events. These 12 ideas should give you some inspiration to start thinking outside the box when it comes to Google Calendar. The new Goals feature in Google Calendar lets you choose a goal, like working out more, reading every day, or working on a skill, and will put it on your calendar when there’s an open time slot. Tell Google what you want to do and how regularly you want to do it, and you’ll get events on your calendar to keep you on track, one of the best ways to make sure you meet your goals How to Create a Vision Board and Meet Your Big Goals How to Create a Vision Board and Meet Your Big Goals You can call them as big rocks or big, hairy, audacious goals. Some call it a bucket list. Emptying that bucket calls for action. This is where a visual tool like Trello proves useful. Read More . By putting this goal on a shared calendar, you can work on a goal together with someone else, or just help get some accountability How A Mastermind Group Can Help You Achieve More Goals How A Mastermind Group Can Help You Achieve More Goals The term 'mastermind group' is being thrown around a lot in the personal development sphere these days, but what exactly are they, do they work, and how could you set up your own group? Read More by showing someone else what you’re planning on doing. The Goals feature doesn’t yet have the ability to take multiple people’s calendars into account when scheduling events, but hopefully that will be added in the future so you can work toward your goals with a partner! If there’s more than one person in charge of your company’s social media feed, things can get out of hand fast. Tweets get repeated, blog posts go out at weird times, and you can make a big mess of Facebook. By combining Google Calendar with IFTTT, though, you can make a plan and make sure everything goes off without a hitch. This IFTTT recipe tweets any event with “ScheduleTweet” as the title, and uses the description as the content of the tweet. With all the available channels on IFTTT, I’m sure you can come up with a system that allows many people to effectively control the flow of social media posts. If you work in an office, especially a small one that contains more than a handful of people, you probably are sharing space, like a conference room or an extra office. And if you don’t have a good system for keeping it booked, you can end up with conflicts about who gets to use it on a certain day. Google Calendar can solve that problem! Just create a shared calendar for that room, and anyone who wants to use it will have to add an event that covers the time they’ll be using it. Perfect for conference rooms, labs, party rooms, game rooms, and any other room that you might want to reserve. No matter how big your family is, there are things that you’d like to stay in sync on. It might be the kids’ sports practice, a pet’s veterinary appointment, extra-long days at work, school projects, home improvement projects Remodel Your Home: 6 Websites for Learning the Basics Remodel Your Home: 6 Websites for Learning the Basics Would you rather put up with an unsatisfying home? Or spend a bit time and energy making it into a place that makes you smile when you walk through the entrance? Read More , where the kids are for the weekend, when the car needs to be in the shop . . . the possibilities are endless. Even a family of two can have a lot of things that need to be coordinated. 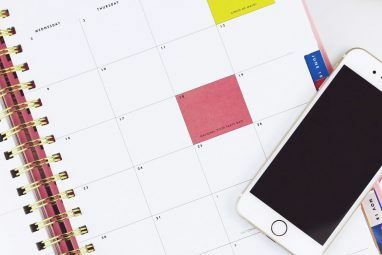 A shared calendar can help you solve these problems; as long as everyone checks the calendar on a regular basis, they’ll see any upcoming events that have been added by anyone else who has access. Events, due dates, plans, and anything else that you want everyone to be aware of will be displayed where they can be seen easily. If you’ve ever been part of a project team 6 Project Management Tips You Can Use to Organize Your Life 6 Project Management Tips You Can Use to Organize Your Life Project Management is the profession of getting things done. Our tips will help you apply a project manager's perspective, skills, and tools to organize your own life. Read More , you know how difficult it can be to keep track of what everyone’s doing. A shared calendar can solve a lot of problems, whether for a development team and you need to keep Scrum phases organized, a management team that needs to keep track of a lot of meetings, or an editorial team that has a lot of different publishing schedules. You could even connect Google Calendar with Trello, one of our favorite project management tools, to keep everything even more organized! (Though these other great uses for Trello 10 Unique Uses of Trello Other Than Project Management 10 Unique Uses of Trello Other Than Project Management Trello is a list lover's delight. Its Kanban-style approach was not meant just for project management. Don't believe us? Look at these ten unique uses of Trello. Read More could also benefit from calendar integration, too.) While you’re at it, why not integrate Trello with everything else 11 Essential Trello Integrations That Make Your Job Easier 11 Essential Trello Integrations That Make Your Job Easier Trello is an incredibly easy to use tool for productivity. You can make it more fun by integrating Trello with excellent thrid-party apps. Stay on track and get things done with these tools. Read More as well? This is something I wish more companies did: share a Google Calendar with useful information. It could be the dates of products going on sale, reminders of big sales, event reminders, and anything else that’s tied to a date or range of dates. As long as it doesn’t turn into an annoying marketing tool, it could be really fun! You can currently get game release dates, movie release dates, and some other cool public Google calendars Awesome Things You Can Automatically Import To Google Calendar Awesome Things You Can Automatically Import To Google Calendar A calendar keeps every aspect of your life focused in one place, allowing you to worry less and accomplish more. Here are some useful ways to import important information into your Google Calendar. Read More , but as far as I can tell, few (if any) companies are taking advantage of connecting with their fans this way. Hopefully this post will inspire someone to start. If you’re part of a carpool or you have an event that requires a lot of people to fit in a smaller number of vehicles (like happy hour after work! ), you can use Google Calendar to make sure that everyone has a ride and that no one forgets when it’s their turn to drive. Have people sign up to ride in a specific vehicle in the description of an event that has someone’s name in the title. 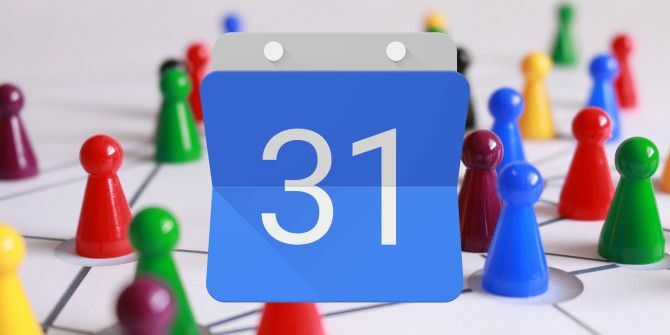 You could even use Google Calendar’s Reminders Reminders Make Google Calendar an Incredible To-Do List Reminders Make Google Calendar an Incredible To-Do List Do you maintain a to-do list and a separate calendar? It introduces friction because tasks and scheduling are interdependent. Google now solved this by introducing Reminders to Google Calendar on Android. Read More to make sure that people get a notification the day before they’re supposed to drive. Then all they have to do is look at the calendar event to see who will be in their vehicle. No more last-minute texts or forgetting about that one person who you always have to go back for! If you share cooking duties, or even if you don’t, using Google Calendar to remind you of your planned meals Plan Weekly Meals in Under 1 Hour with 5 Web Tools Plan Weekly Meals in Under 1 Hour with 5 Web Tools There is a way to eat healthy food that doesn't cost much and do so in a way that doesn't require too much effort on your part. That secret is weekly meal plans. Read More , necessary grocery trips, or reminders to get dinner started could be very useful. You could add links to recipes right in the event, so you can click through to the information you need when you get a reminder. You could also use this for leftovers; if you put something in the refrigerator, add a quick note to Google Calendar reminding you to eat it by a certain date. No more food waste! You could use Reminders to make sure your significant other remembers that they’re cooking on specific days, or remind yourself to pick up some last-minute groceries on a specific day, too. One of my personal favorite integrations in Google Calendar is using TripIt to display all my travel information, from flights to car rentals. It includes the relevant time and date, as well as a lot of useful booking information like your reservation number, frequent traveler number, the phone number for the company you booked with, the cost, and even the URL of the page you need to change your reservation. Google is starting to import travel information automatically from Gmail, but it doesn’t have quite the same efficacy in getting you all the relevant information you could possibly need. On a shared calendar, this can help keep your co-workers, friends, spouse, kids, or anyone else up-to-date on your travel information. 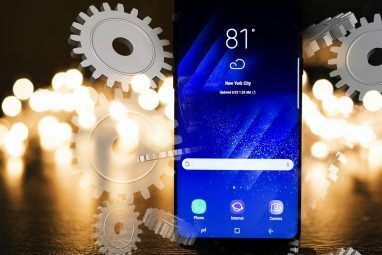 There are tons of great financial apps Build Better Spending Habits with These 7 Android Finance Apps Build Better Spending Habits with These 7 Android Finance Apps A few lifestyle tweaks can greatly improve your financial situation. Here are some of the best Android apps to help you budget and plan your spending. Read More out there, and most of them are pretty good about bill reminders, but if you want to integrate more of your life into Google Calendar, you can use recurring events to remind you that bills are coming up, that you need to make a deposit into your savings account, or that you should get a head-start on your taxes. If you want to be mean to yourself, you could set up a recurring reminder of how much you’re paying on a loan to motivate yourself to pay it off, or rig up an IFTTT recipe with your calendar to show you when your loan interest will be capitalized. It’s a bit masochistic, but it could help you stay motivated to pay off your debt How to Visualize Your Debt & Stay Motivated While Paying It Off How to Visualize Your Debt & Stay Motivated While Paying It Off It's tough to stay motivated to keep paying off your debt, but visualizing it can make the process easier. Read More ! Event planning is the most common way that Google Calendar is used. Organizing meetings and events is one of the things it does best; you can send invitations, reply to them directly from Gmail, use appointment scheduling 5 Calendar Management & Scheduling Tools for the Year 5 Calendar Management & Scheduling Tools for the Year Keep on top of everything in your schedule. Here are five free tools that can be particularly helpful for keeping your calendar in order. Read More and Find a Time to make sure everyone can attend, and take advantage of all the other features that make Google Calendar so great. You can also use extensions like ClipPod to add notes and attachments to your calendar items, letting you post drafts, exchange files, or whip up meeting agendas right in the calendar. And with a shared calendar, your entire team can collaborate on making sure everyone gets to the right place at the right time. The Echo, Amazon’s intriguing virtual personal assistant/wireless speaker/home surveillance device 7 Creative Uses for Amazon Echo and Alexa 7 Creative Uses for Amazon Echo and Alexa You’ve seen the ads starring Alec Baldwin, but you're still not sure what Amazon Echo does or whether you need one in your home. We’re about to find out. Read More , can access shared Google Calendars, letting you get voice updates and reminders on your schedule; you can even create new events by asking nicely. What’s the advantage of using Echo with Google Calendar? It’s cool! Plus, you can ask for schedule information while your hands are busy with something else, saving you . . . at least a couple seconds. How Do You Use Google Calendar? Google Calendar is packed with cool features, and they can help you boost your productivity in a lot of great ways. These are just 12 ideas for using a shared Google Calendar productively, and there are many more out there. How do you use your shared calendars? Any outstanding creative use you can think of right now? Share your best ideas and tips in the comments below! Explore more about: Google Calendar, Planning Tool, Productivity. What would be an easy way to add certain Facebook events to a shared google calendar so that the event info gets auto populated? It seems more complicated than it should be when I looked it up. Especially if I also have my own personal Google calendar in addition to the shared one. Should I set up a group/fake facebook account and sign uo for events with that fb account so that the evebts sync with the shared google calendar? 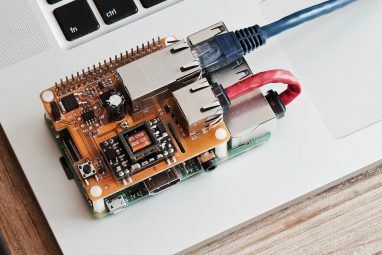 Or is there a way to do It with IFTTT or Zapier? Looks like this is your best bet: https://www.facebook.com/help/152652248136178/ I think that'll work with a shared calendar, but I'll have to try it to make sure.